The Central American agouti (Dasyprocta punctata) looks a little bit like a cross breed between a rabbit and a squirrel but in fact it belongs to the same group of rodents. 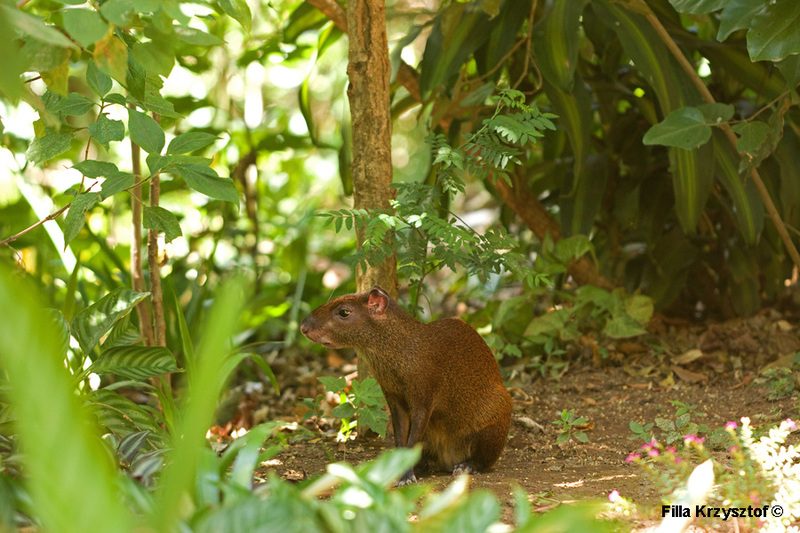 Agoutis are wide spread across south America and play important role in seed distribution. They are able to crack some nuts which other animals cannot. They are monogamous by nature and mate for life.